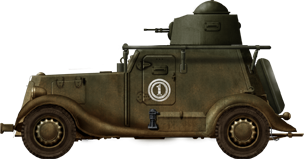 In 1934, UMM RKKA expressed the need for a light armored vehicle, with better driving characteristics than the FAI. This coincided with the end of the production of the GAZ-A commercial chassis. The task of developing the BA-20, on the chassis of the M-1, was initiated in early 1935 by the Izhorskogo plant design bureau. The chassis choice was motivated by improved performance on rough roads and soft ground. The GAZ-M1 was mass produced from February-March 1936 at the Gorky Automobile Plant. This was a licensed copy of the U.S. Ford V8-40, coupled with the GAZ-M engine, a copy of the Ford BB engine. Izhorsky engineers, to meet the required deadlines, adapted the body of the previous FAI with only a few changes, such as armor thickness and layout. Location of doors, hatches, vision slits and spare wheel were left unchanged. However, the modified body and heavier chassis increased total weight to 2270 kg. The turret was the same as the FAI, slightly modified with an elevation of -13/+23°. The first prototypes were ready in May 1936, and arrived in June at the NIBT proving grounds for comprehensive testing. The more powerful engine allowed a higher 95.5 km/h (59 mph) top speed, and range of 704 km (437 mi) on normal roads at cruising speed and 558 km (346) off-road. Off-road capabilities were better than the FAI, verified after a 5000 km (3100 mi) test course in July. According to the commission, only two major drawbacks were found, lack of vision at speeds above 15 km/h (9 mph) and weak armament. Proposals were formulated for a heavy machine-gun (12.7 mm/0.5 in) coupled with an extra light DT machine-gun. Production was taken over by Vykunskiy Factory, as Izhorskiy was busy supplying armor plate to other factories. Already, in July 1936, this plant was producing the BA-20 in parallel with modified FAI-Ms. 33 BA-20s were out by December. 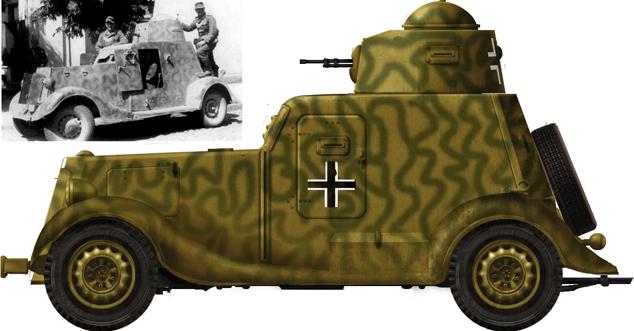 In March and April 1937, engineers Miroshin and Suhov developed a new “elevated bulletproof” cone-shaped turret. Of the same thickness, the increased slope made it better at deflecting bullets. However, the factory was not able to deliver the ordered 300 armored vehicles in time. The absence of the new conical turrets added delays. By October 1st, only 15 vehicles with the new turret had been delivered, the others being fitted with older turrets. There was also a shortage of bullet-proof type HA tires, produced by the “Red Triangle” factory of Yaroslavl and rubber-asbestos plant. By the end of 1937, 252 had been delivered, including 102 with the new turrets and radio horseshoe antennae. 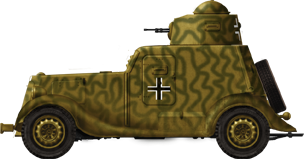 Only in the fall of 1938 did the final version come, with additional reinforcements on the front frame and rear axle springs, increased front hull and turret armor protection, and the latest DT machine gun. The upgraded chassis received the designation GAZ-MS and the model BA-20M. The chassis and hull increase in weight (2320 kg) dictated changes on the body, leading to a decreased height and new sloped armor plates. The Spanish experience dictated the replacement of the fixed antennae by the new whip model mounted on the starboard side. The ABTU ordered, in 1939, to begin production of an upgraded version, designated BA-20M. It was produced, for a time, in parallel with the regular BA-20 (with a cylindrical tower). Only 161 were out by the end of 1939. In 1940, this figure rose to 253, with rail running kits. In July 1940, 295 vehicles had been delivered, including 44 radio-equipped, and 6 rail-modified BA-20M and 54 regular BA-20Ms. 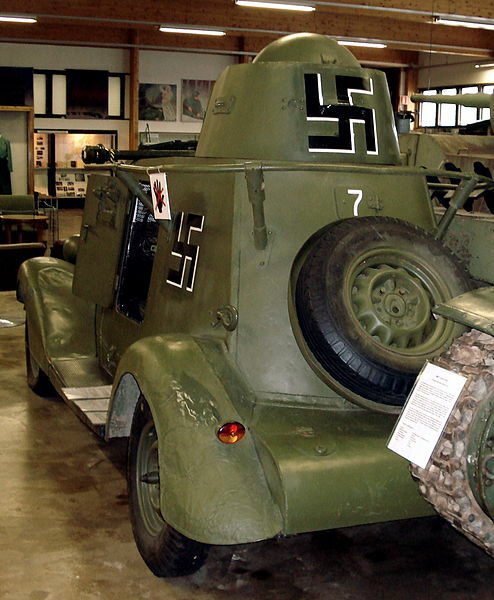 The factory also lacked ball gun mantlets, GK bulletproof tires, radios and antennas. Many BA-20s were sent to the front with conventional pneumatic tires, no radios and an incomplete set of spare parts. The production was discontinued until March 1942 and stopped on May, 16. Additional parts and chassis allowed for an extra batch to be completed afterwards. 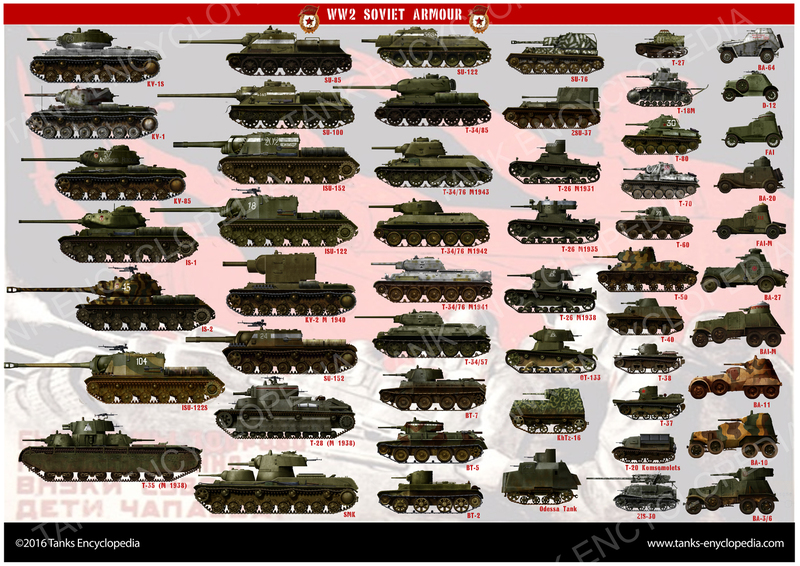 The total production, including modifications and conversions issued from 1936 to 1942, reached an estimated 1567 units (4800 according to WWIIVehicles). The rail kit BA-20 Zhd : The kit was first studied in 1937. It consisted of a jack, additional steel cable ties for rail fixations, and presented at the beginning of 1938. It was found compatible with the FAI kit, and adopted for serial production. The increased weight of 2,780 kg reduced the top speed to 50 km\h (31 mph), but in 1939 these were placed on a separate conveyor. Most of the BA-20zhd were used for patrol, communication and intelligence, and some became part of the Red Army and NKVD armored trains. 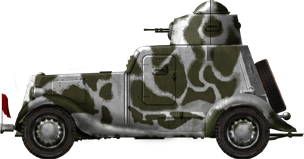 Command Variants : First variants had a clothes-line antenna, common on early Soviet vehicles, but later versions, based on the BA-20M, had a whip antenna. BA-21 : A further development of the BA-20, but based on a heavier lorry chassis. 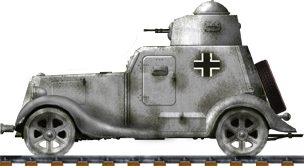 It appears as though all work was dropped, perhaps after a prototype was made, in light of new armored car projects. According to Zaloga, it was 0.7 tonnes heavier, slightly longer, featured a hull machine gun, but was much slower. 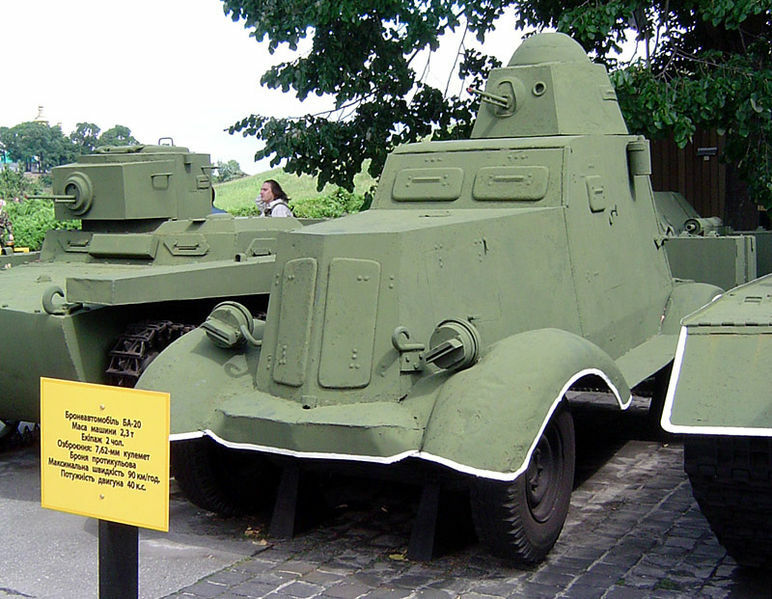 Entering service in late 1937, the BA-20 became the main type of light armored vehicle of the Red Army. First of all, these equipped motorized armored reconnaissance brigades and mechanized corps, gradually replacing the FAIs. No BA-20s were sent in Spain. Their baptism of fire came in mid-1939, at Khalkhin Gol. The 57th Special Corps, with 173 FAIs and BA-20s, was stationed to protect the border with Manchuria, in the 7th, 8th and 9th IBRD. 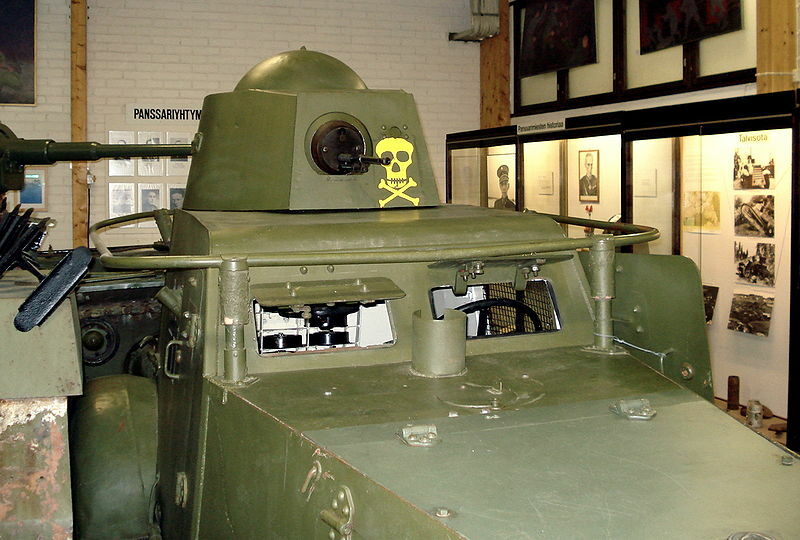 These were widely used for short-range reconnaissance, resupply and communication. On August 23, two companies of BT-7s supported by BA-20s armored cars destroyed Japanese fuel and ammunition dumps, then defeated an IJN Cavalry Regiment, and shot down two Japanese aircraft which landed near. Losses in May-September 1939 amounted to 17 armored cars. 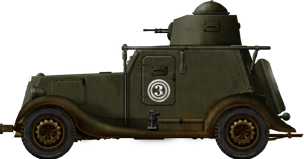 During the Winter War, on November 30, the 7th and 14th Army had 53 machines of this type, the 9th Army only 2, and the 8th Army, 32. A few weeks later, 25 more arrived with the 34th Mechanized Brigade. Later on, at least 71 BA-20/20Ms were sent as replacements to cover the combat losses. According to Soviet data, losses amounted to 31 (3 by artillery fire and 28 left behind), mostly in the Karelian area. As of June 1, 1941, some 1,424 BA-20s of all types (968 with radio) were registered in service. Most were concentrated in the Baltic, Western and Kiev Military Districts. On 23 August 1941, new tank brigades counted two light BA-20 and three BA-20M formations for recce missions. By the beginning of the Battle of Stalingrad, their numbers had dwindled significantly. 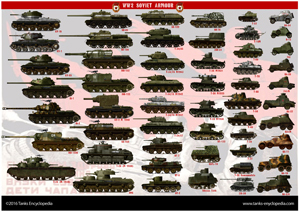 On the Trans-Baikal Front, on September 20, 1942, 86 light armored vehicles (including 12 FAI/FAI-M) still served actively. 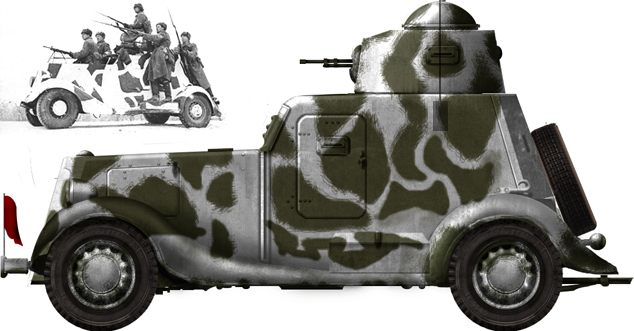 Captured BA-20s were largely used by Finland (more than 30 light armored vehicles in different conditions, including 9 BA-20s). 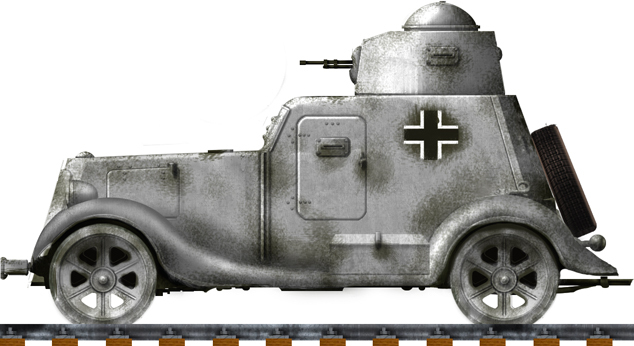 German machines were used for intelligence purposes, and as police cars, and very few saw service with their Romanian allies. BA-20M attached to the 20th Brigade, November 1941. 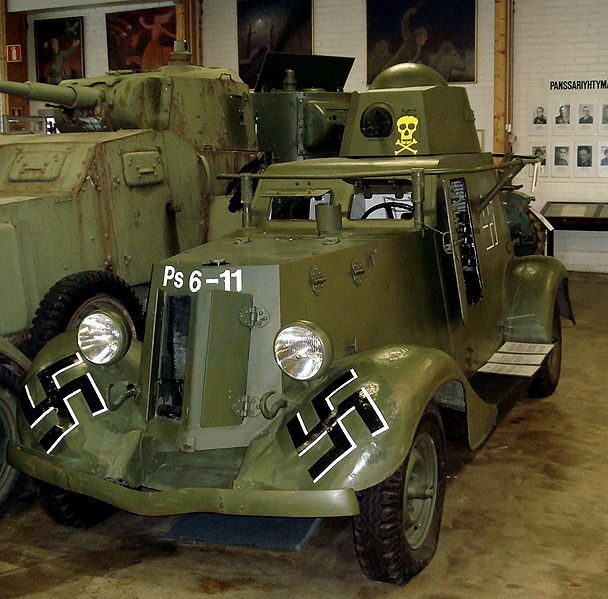 Finnish BA-20, one of the nine captured and used in combat. 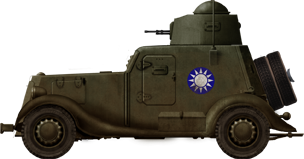 Possible appearance of a Chinese BA-20M. 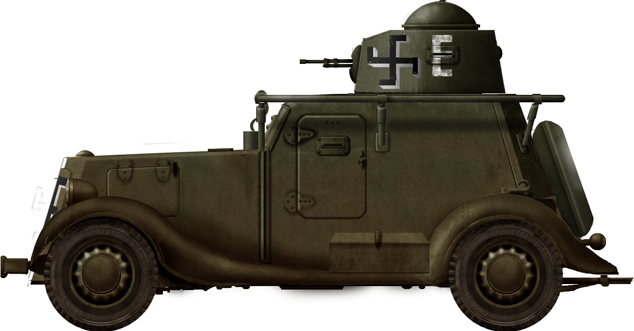 Vehicle of the Feldgendarmerie in Russia, summer of 1944. Great article. Is there any documentary evidence of BA-20s armed with a flame-thrower? There are confirmations in various articles that some models were so armed but I have never seen a photo of same. Can anyone confirm yea or nay? We’re unaware of any photographic evidence of such a vehicle. However, given the many improvisations done during the war, it is not implausible that such a thing could have happened. Unfortunately, we can’t help you more. Thanks for your quick reply. The flame thrower version is included in several miniature gaming rules, and I was curious if there was some definitive support for that version.